Rock Pocket Games and Funcom have announced Moons of Madness, a first-person “cosmic horror game.” The experience looks to be in the vein of space-set horrors like Alien, but with a Lovecraftian twist. It will be released around Halloween 2019, so be on the lookout this fall. In Moons of Madness, you step into the shoes of Shane Newheart. He works on the Mars-set outpost of Invictus. It is run by the enigmatic Orochi Group (fans of Secret Worlds Legends—another Funcom game—may recognize that name). However, true to form, nothing here is what it seems. As the other members of the Invictus team are found missing from the base, more strange occurrences begin to take place. As you dig deeper into the mystery, you may learn that you aren’t alone on Mars after all. 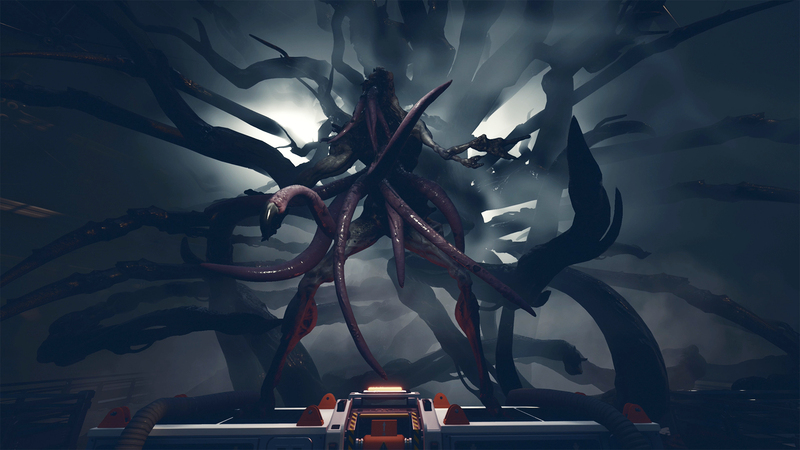 Moons of Madness looks to be a combination of all different types of horror. While there’s an obvious science fiction element, we’re also promised some Lovecraftian horror, just in case the isolation of space wasn’t scary enough. Based on the trailer, it looks like there’s not a big emphasis on combat, which will make the ensuing events extra-terrifying. While it does take place in the same universe as Secret Worlds Legneds and uses a lot of the same mythology, Moons of Madness can be played completely on its own. While Moons of Madness was originally revealed in 2017, this is a new iteration of the concept that came to be after Funcom came on board. This re-reveal promises a game that has “expanded gameplay and scope” from what we first saw. Besides Secret Worlds Legends, Funcom most recently put out games like Mutant Year Zero:Road to Eden and Conan Exiles. Moons of Madness will release in Fall 2019 for the PlayStation 4, Xbox One, and PC.